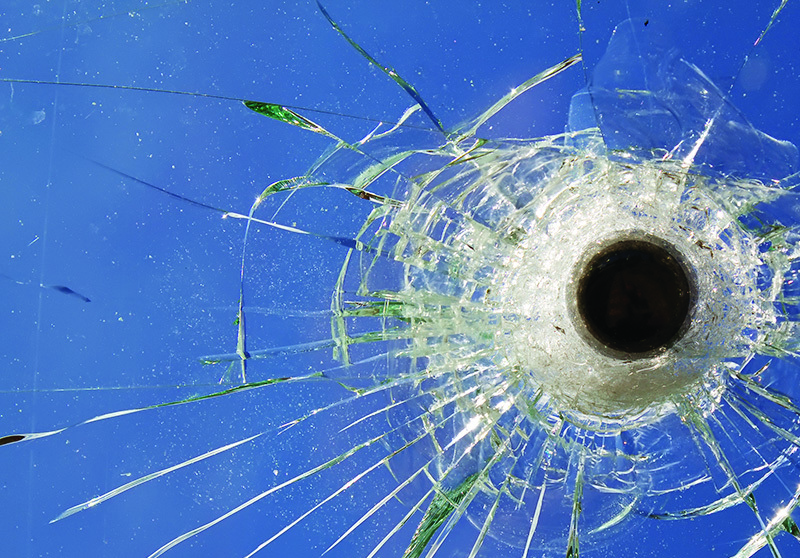 As a bullet strikes a pane of security glazing, the layers of toughened glass and plastics rapidly absorb the energy of the projectile, either stopping the bullet entirely or slowing it enough to greatly reduce the damage that can be done. The effectiveness of bullet-resisting glazing depends on multiple aspects such as the number of layers, the thickness of layers, the materials used etc., but generally speaking, the thicker the glass, the more energy can be absorbed. The type of projectile that can be effectively resisted is commonly classified on a scale from BR1 to BR7, with BR7 being the most effective. Bullet resistant glazing supplied by Arkoni conforms to EN1063 and systems are tested to Din EN 1522/1523.